The most important component of any milk, especially for making cheese, is its proportion of milk solids in the milk. The amount of butterfat and protein in the milk will determine cheese yield and cheese quality. While aspects of animal husbandry like fodder, housing and parasite load will influence the milk solid content to some degree, the most important determining factor for milk quality is found in the variations of the genetics involved in milk production. As might be expected, the differences in genetics between goat breeds account for differences in percentages of milk solids. The University of Florida IFS Extension website lists the average butterfat percentage in American goat breeds as following: Nubian: 4.61%, American La Mancha 3.8%, Alpines: 3.56%, Saanen: 3.52%, Toggenburg: 3.38%. No number was given for Nigerian Dwarf milk but Fiasco farm website listed the average Nigerian butterfat level at 5-6%. Of course there are individual variations with each goat and these average numbers change as the does progress through their lactation period. 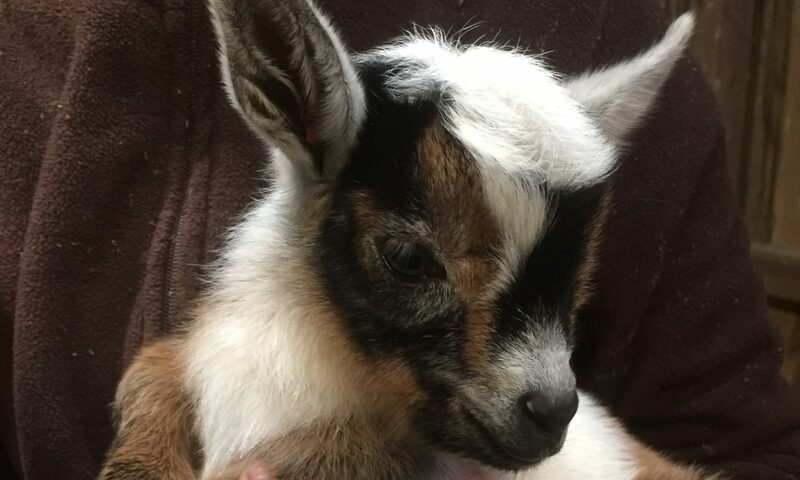 Nigerian Dwarf goats can reach 10% in late lactation. The concentration of αs1-casein [protein] in goat milk is an important variable and can be attributed to the αs1-casein genotype of the goat. In turn, αs1-casein concentrations have been positively correlated with the amount of total solids, total protein, and casein in goat milk and have been related to increases in cheese yield, coagulation times, and firmness of the curd (Ambrosoli et al., 1988; Pirisi et al., 1994; Clark and Sherbon, 2000). the nonexpressing, or null, alleles (O1, O2, and N) produce no αs1-casein. LaMancha, Nubian, and Nigerian Dwarf the fewest E and F alleles.